Are you a plumber or owner of a plumbing company looking to expand your brand awareness? 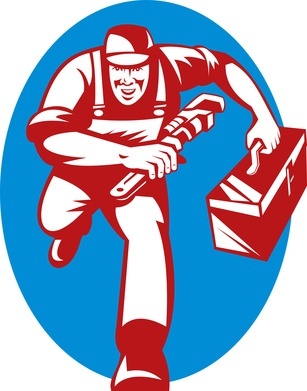 Do you want your brand, your company name, to be synonymous with plumbing in your community? 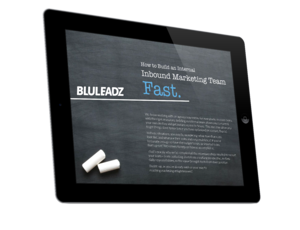 If so, BluLeadz, an inbound marketing firm in Tampa, offers many ways to expand your online presence, increase your visibility and generate leads that will increase your bottom line. We’re in the business of creating customer evangelists, and we have several methods to make that a reality through inbound marketing techniques. Inbound marketing is the science of “getting found” on the Internet. As you’re probably already aware, effectively using the Internet is now one of the most important ways to get your message out to your target audience. However, there’s much more to doing that than simply building a website and blindly hoping it shows up in web searches. At BluLeadz, we specialize in getting your brand to the top of web searches using precise methods based on specific search data. We can help you directly engage your audience by building a website that uses precise terminology called “keywords.” Keywords and keyword phrases search terms that shepherd your customer base right to your “front door.” Through analysis of search term data, we build websites with content that attracts business to your website based on their search queries. We can also assist you with building excellent customer conversations using social media marketing. Social media is outlets like Facebook, Twitter, Google + and LinkedIn, and they are all exceptional ways to start a dialog with your existing and future clients. To be a great business you must be a great listener. Social media enables you to listen to what your customers needs are, what benefits they want and what they demand from plumbing companies. Nothing beats skilled social media interaction with your customers for maximizing your base and reap all its potential rewards. It only needs to be tapped, and with sites like Facebook, you have a ready-made resource with which to reach out and communicate with your target. At BluLeadz, we can help you understand how to use all social media sites to increase your return on investment (ROI). Contact us today to find out more about social media. After BluLeadz helps establish your brand on the Internet, we don’t stop there. We work with you weekly to track changes. For instance, we’re vigilant about tracking changes in search terms and adjusting keywords to closely match what plumbing customers are searching for daily. We use the most sophisticated inbound marketing software, Hubspot, available, enabling us to keep track of trends, and we can show you in concrete statistics what people are looking for and how we adjust your website accordingly. Vigilance is vital for keeping your website visible and functioning at its highest level. Be seen now! Contact BluLeadz today to find out how we can help catapult your plumbing business to the top of search engine results. Critical News About Internet Marketing For Plumbers!